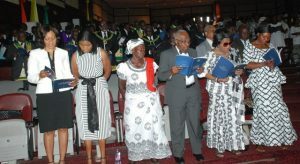 Ghana, on October 4th, 2018, held an impressive and solemn state funeral for one of her foremost legal luminaries and first Electoral Commissioner, Justice Professor Vincent Cyril Richard Arthur Charles (VCRAC) Crabbe, in Accra. 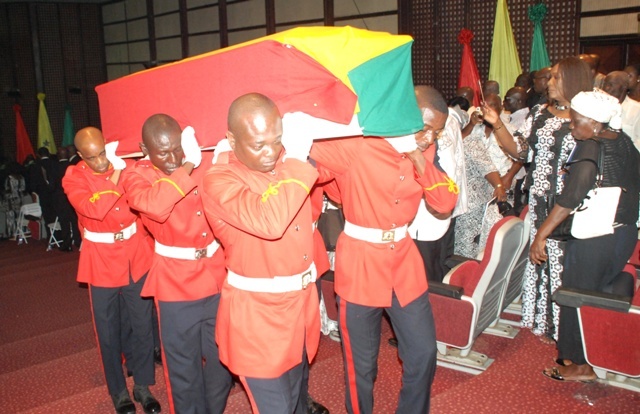 A state burial service was held at the Accra International Conference Centre, where mourners from all walks of life thronged to pay their last respects and join in giving a befitting farewell to this great son of the land. In attendance were President Nana Addo Dankwa Akufo-Addo and his wife, Mrs Rebecca Akufo-Addo; Vice-President Dr. Mahamudu Bawumia; former President Jerry John Rawlings and his wife Nana Konadu Agyemang-Rawlings; former President John Agyekum Kufuor; Speaker of Parliament, Prof. Aaron Mike Oquaye and the Chief Justice, Ms. Justice Sophia Akuffo. 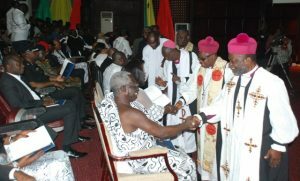 Also at the service were former Chief Justice, Mrs. Georgina Theodora Wood; Minister of Justice and Attorney-General, Ms. Gloria Akuffo; the Chief of Staff, Mrs. Frema Osei-Opare as well as magistrates and justices of both the lower and superior courts, members of the Ghana Bar Association, the Ghana Armed Forces; the Grand Lodge of Ghana (of which he was a member for 56 years) and many of the organisations where Prof. Crabbe had rendered service. In the burial sermon, the Most Rev. 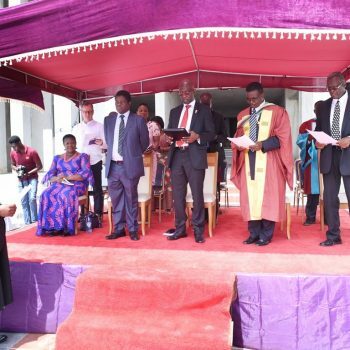 Prof. Emmanuel Asante, a former Presiding Bishop of the Methodist Church of Ghana, said every individual had a calling and a destiny to fulfil. Therefore, he said, people needed to fight the good fight and finish the race as admonished by the Apostle Paul. “It is not too hard to start something well but it is too hard to finish well. To fight the good fight, one must start well and finish well,’’ he said. The Most Rev. Prof. Asante said Justice Professor Crabbe did his job so well that the living, the dead and the unborn would appreciate his work. In his tribute, President Akufo-Addo said Ghana had lost a respected public servant, an eminent jurist and a distinguished patriot. “The legal profession has lost one of its finest members, one who served his country with distinction, and who made important contributions to our nation’s jurisprudence and development. 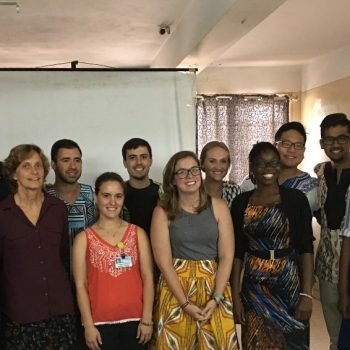 Well known for his discipline, honesty and integrity, he was an outstanding servant of the Ghanaian people and of the public interest”, he said. 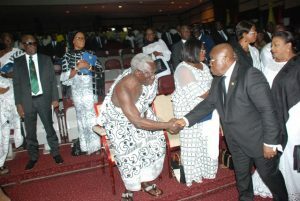 Former Presidents Rawlings, John Kufuor and John Mahama also paid tributes. 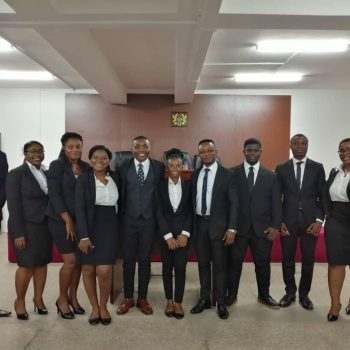 One theme that ran through their tributes was that Justice Professor Crabbe was a doyen of the legal fraternity, a statesman who served his nation as a distinguished Supreme Court Justice, a professor of Law and a constitutional expert. They saw him as a respectable father figure that every Ghanaian looked up to, with his name holding such prominence for so long, as he served successive governments of Ghana since independence with absolute integrity, impartiality, patriotism and loyalty. 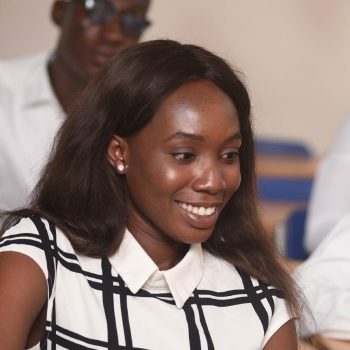 The Founder/Rector of MountCrest University College, Mr. Kwaku Ansa-Asare, in his tribute, described Justice Professor Crabbe as “a man of much wisdom, infinite charm and of great presence” who subscribed to high ideals and human values and was uncompromising in their observance. He said as a colleague at MountCrest University College, he found Prof. Crabbe to be a man of integrity and honour. He was also most meticulous in his ways. He expected high standards of all and, he always tried to set a good example himself. 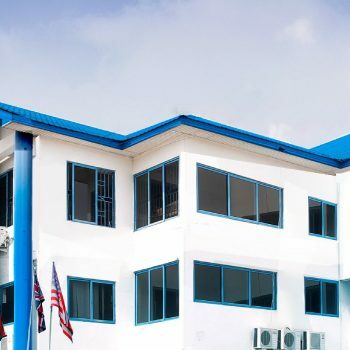 Mr. Ansa-Asare was very appreciative of the man who graciously accepted to become the Foundation Rector of MountCrest University College and years later as a Professor of Law at the College until his demise. 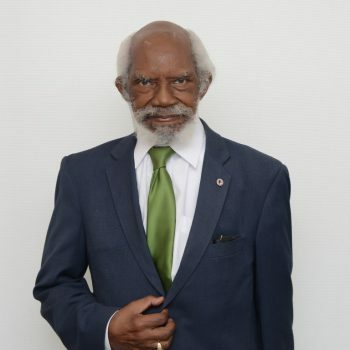 ‘’A great man V.C.R.A.C Crabbe was, and his life teaches us the values of hard work, selflessness, devotion, dedication, loyalty, commitment, honesty, integrity and patriotism, coupled with a sense of mission and purpose”, he said. After the service, following which he was given a private burial, the reception and funeral rites were held at the forecourt of the State House (opposite the Conference Centre). Justice Professor Crabbe was born at Kinkam at Ussher Town, Accra, on 29th October, 1923 and passed away on 7th September, 2018, barely a month to his 95th birthday. He left behind six children, 12 grandchildren, numerous great nephews and nieces.